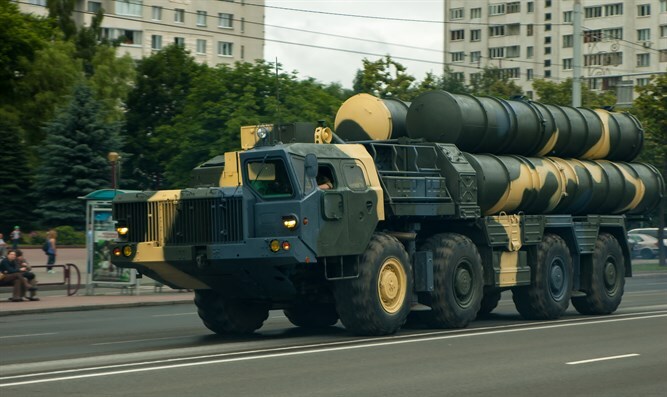 Russian source says his country delivered the S-300 missile system to Syria at no cost. Russia’s recent supply of S-300 air-to-missile systems to Syria was free of charge, a Russian military diplomatic source told the TASS news agency on Monday. "These systems were previously deployed at one of the Russian aerospace forces’ regiments which now uses the S-400 Triumf systems. The S-300 systems underwent capital repairs at Russian defense enterprises, are in good condition and are capable of performing combat tasks," the source added. Russian Defense Minister Sergei Shoigu said last week that the delivery of the system to Syria had been completed and that work on preparation and training of the crews will be completed by October 20. One report in Israel had indicated that Russia received $1 billion from Syria in payment for the S-300. Russia announced it would upgrade Syria’s anti-air defense network and send the S-300 system there, following the downing of a Russian military aircraft in Syrian airspace. US Secretary of State Mike Pompeo criticized Russia's delivery of the S-300 system to Syria and said it was a "serious escalation".